Honey Rose: UFE tells the story of Red, a young university student with dreams of making it big at the masked fighting tournament. She needs to balance her studies with her training, so she can bring home both the champion's belt, and her graduation! 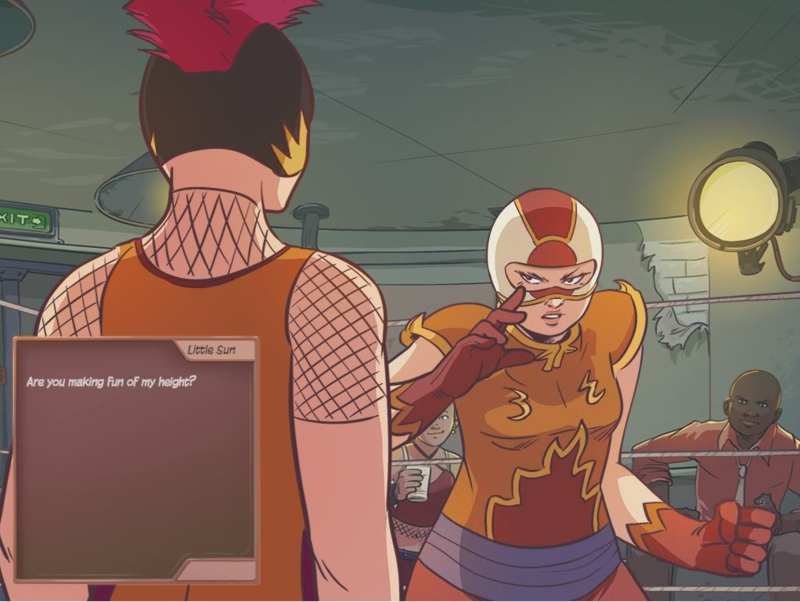 The game is a life-management simulation, presented as a visual novel, with beat'em-all elements. In short: some reading, some fighting... and lots of planning!